“It was surprising what old experiences remembered could do to a presumably educated, civilized man.” And Hugh Denismore, a young doctor driving his mother’s Cadillac from Los Angeles to Phoenix, is eminently educated and civilized. He is privileged, would seem to have the world at his feet, even. Then why does the sight of a few redneck teenagers disconcert him? Why is he reluctant to pick up a disheveled girl hitchhiking along the desert highway? And why is he the first person the police suspect when she is found dead in Arizona a few days later? Dorothy B. Hughes ranks with Raymond Chandler and Patricia Highsmith as a master of mid-century noir. In books like In a Lonely Place and Ride the Pink Horse she exposed a seething discontent underneath the veneer of twentieth-century prosperity. 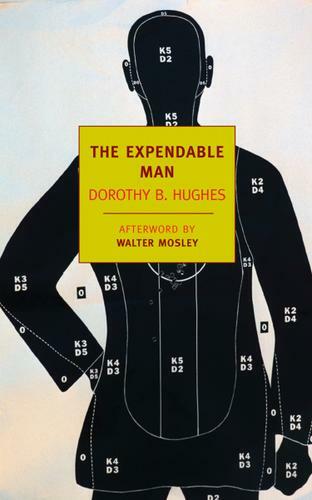 With The Expendable Man, first published in 1963, Hughes upends the conventions of the wrong-man narrative to deliver a story that engages readers even as it implicates them in the greatest of all American crimes.